We've introduced license report generation in 6.3.0. 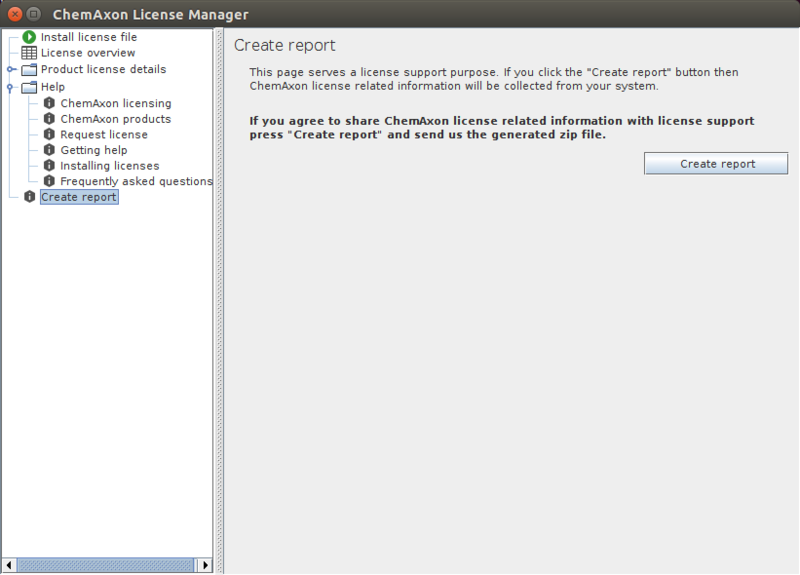 A license report contains all the relevant information about the configuration of ChemAxon's licensing packed into a singe zip file. To generate such report, start the License Manager and select the "Create report" option and click the "Create report" button. Then select the folder where the report should be generated into and send the licenseData.zip to us via e-mail. License report can be generated via the license console tool using the -r option.